Remember your leaders and keep them in prayer. Do not neglect to do good and share what you have. You never know who you are looking at, or standing before, maybe an angel, maybe the Lord. So always treat others with the utmost respect. You could be entertaining angels! So go and do the good God created you to do. When we look upon people we are not to judge them and place them in honorable places and dishonorable places by how we judge them. We are to try the as we would treat ourselves. 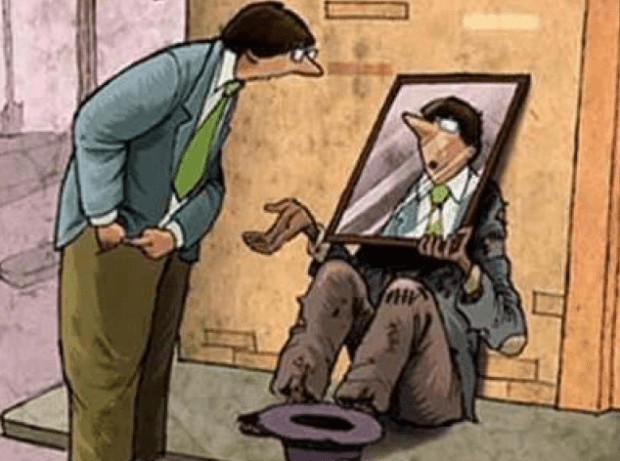 That is why this picture is a great reminder of how we should look upon people. When we look at someone we should see us. Because when God looks at us does He see us or does He see Jesus? So love everyone as Jesus loves you. For us in the United States, we are approaching the time we set aside to be thankful for all that we have been given, and all we have been blessed with in our lives. November is the time we seem to focus on what it means to be blessed and what God has given us in our lives. So take some time this month to count your blessings. Some of which are the fact we can worship God freely and openly, we are free to live because of the men and women who fought and fight for that freedom. Count the blessings of your friends, and family, and remember that God has blessed you with everything so that you may be a blessing to others. You are blessed to be a blessing! So we are freed by grace to live in the love of God; does that give us free reign to do whatever we want? Do you want Jesus to be doing that with you? We are to honor God with all of our actions. Every word we say and every thing we do. We are God’s and He dwells within us, so honor Him!